Good evidence suggests a relationship between rheumatoid arthritis (RA) and periodontitis. We aimed to investigate if a good oral hygiene could improve activity of RA. Group A: treated according to a periodontal care program of good oral hygiene proposed to the general population, which included: (1) tooth brushing twice a day with a Triclosan polymer dentifrice (Colgate Total®); (2) mouth rinse once a day with an antiseptic mouthwash including essential oils (Listerin®); (3) scaling by a periodontist twice a year. Group B: no specific intervention and no specific information was given to the patients. In both groups the treatment of RA was conducted according to the decision of the physician. The primary endpoint was the delta between M12 and M0 DAS28-VS in both groups. The ability of the intervention to decrease the gingiva bacterial load was also analyzed. Given the fact that it was expected that numbers of patients in whom the intervention will be proposed will not accept it, the primary analysis was a complier average causal effect (CACE) analysis, restricted to patients having their first visit to the dentist planned in group A. Two approaches were used for CACE analyses; 1) weighting and 2) instrumental variable (IV). PCR analysis of nine periodontal pathogens was performed at M0 and M12. Microbiological analysis of the periodontal bacteria indicated a significant decrease in the red complex involved in the pathogenesis of periodontitis; i.e. Porphyromonas gingivalis (p = 0.002), Tannerella forsythia (p = 0.002) and Treponema denticola (p = 0.019). Following in RA patients the recommendations to the general population for a good oral hygiene decreased the bacterial load of bacteria involved in periodontal disease but did not improve RA activity. In the present study, the lack of clinical effect on RA may be due (1) to the relatively long duration of the disease in the patients enrolled (10 years), and (2) to the very good control of the disease at baseline (DAS28-VS around 2.7). The efficacy of oral prevention, through the above simple approach should be tested in patients with earlier RA and more active disease. Disclosure: X. Mariette, None; E. Perrodeau, None; C. Verner, None; X. Struillou, None; T. Schaeverbeke, Pfizer, Inc., 2, 5,UCB, Inc., 5,Amgen Inc., 5,AbbVie Inc., 5,Janssen, 5,Roche, 5,BMS, 5,MSD, 5,Novartis, 5; A. Cantagrel, None; P. Ravaud, None; P. Bouchard, None. Mariette X, Perrodeau E, Verner C, Struillou X, Schaeverbeke T, Cantagrel A, Ravaud P, Bouchard P. Effect of Buccal Hygiene on the Systemic Activity of Patients with Rheumatoid Arthritis: A Randomized Clinical Trial [abstract]. Arthritis Rheumatol. 2018; 70 (suppl 10). 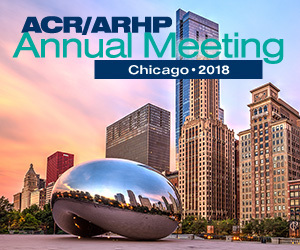 https://acrabstracts.org/abstract/effect-of-buccal-hygiene-on-the-systemic-activity-of-patients-with-rheumatoid-arthritis-a-randomized-clinical-trial/. Accessed April 18, 2019.